Chiropractic care is a natural approach to many health and musculoskeletal problems. It does not replace traditional Veterinary Medicine, but provides a complimentary additional method of care. Chiropractors identify dysfunctional vertebrae and joints that are not moving properly. These dysfunctional areas cause stress to adjacent tissues and irritate nerves. Therapy is directed towards the vertebral column and limbs to allow the nervous system to function at an optimal level. Nerve irritation interrupts the flow of nerve impulses. In turn, this may affect the function of organs, and muscles which are used for movement, respiration, circulation, and co-ordination. Adjustments are a form of manipulation directed at a specific dysfunctional vertebra or joint. The chiropractor uses her hands to deliver a carefully controlled corrective force to the dysfunctional area and restore it to normal position. Dr. Heather Price is a 2004 graduate of The Ohio State University with a degree in Veterinary Medicine. She completed her Chiropractic certification in 2010 at Options for Animals . 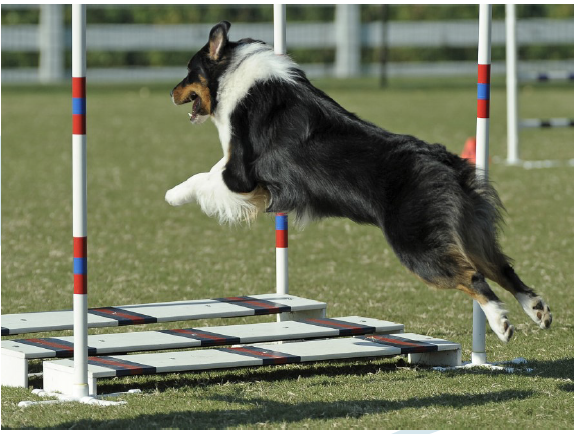 Dr. Price is avidly involved in competitive canine sports with her Australian Shepherds .